It seems nearly impossible to escape plastic in our everyday lives, doesn’t it? And we can’t escape plastic pollution, either. Plastic is literally at my fingertips all day long. Plastic keyboard. Plastic framed computer monitor. Plastic mouse. The amount of plastic I encounter daily doesn’t end there.Chances are, you can relate. Plastic is an epidemic. But where does all this plastic go? We ship some of it overseas to be recycled. Quite a bit ends up in landfills. And more than you can imagine ends up on the loose as plastic pollution, eventually making its way into our waterways. Tiny plastic beads used in hundreds of toiletries like facial scrubs and toothpastes have even been found in our Great Lakes—the largest group of freshwater lakes in the world! Giant garbage patches (one twice the size of Texas) can be found floating around in the oceans. And all this plastic pollution is not only a problem for the earth, it’s bad for our health. 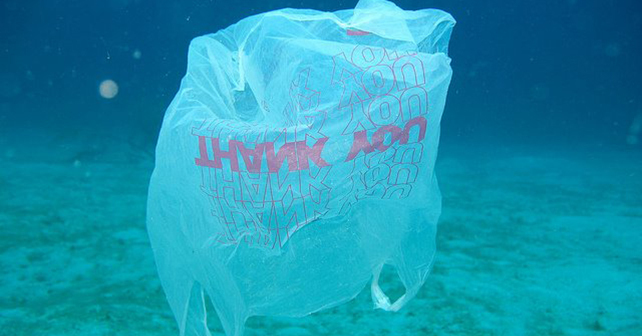 22 Preposterous Facts about Plastic Pollution. • In the Los Angeles area alone, 10 metric tons of plastic fragments—like grocery bags, straws and soda bottles—are carried into the Pacific Ocean every day. • Over the last ten years we have produced more plastic than during the whole of the last century. • 50 percent of the plastic we use, we use just once and throw away. • Enough plastic is thrown away each year to circle the earth four times. • We currently recover only five percent of the plastics we produce. 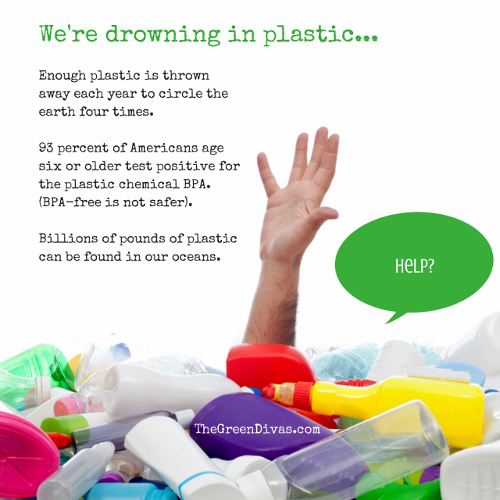 • The average American throws away approximately 185 pounds of plastic per year. • Plastic accounts for around 10 percent of the total waste we generate. • The production of plastic uses around eight percent of the world’s oil production (bioplastics are not a good solution as they require food source crops). • Plastic in the ocean breaks down into such small segments that pieces of plastic from a one liter bottle could end up on every mile of beach throughout the world. • Annually approximately 500 billion plastic bags are used worldwide. More than one million bags are used every minute. • 46 percent of plastics float (EPA 2006) and it can drift for years before eventually concentrating in the ocean gyres. • It takes 500-1,000 years for plastic to degrade. 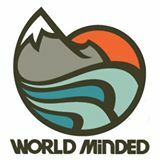 • Billions of pounds of plastic can be found in swirling convergences in the oceans making up about 40 percent of the world’s ocean surfaces. 80 percent of pollution enters the ocean from the land. • The Great Pacific Garbage Patch is located in the North Pacific Gyre off the coast of California and is the largest ocean garbage site in the world. This floating mass of plastic is twice the size of Texas, with plastic pieces outnumbering sea life six to one. • Plastic constitutes approximately 90 percent of all trash floating on the ocean’s surface, with 46,000 pieces of plastic per square mile. • One million sea birds and 100,000 marine mammals are killed annually from plastic in our oceans. • 44 percent of all seabird species, 22 percent of cetaceans, all sea turtle species and a growing list of fish species have been documented with plastic in or around their bodies. • In samples collected in Lake Erie, 85 percent of the plastic particles were smaller than two-tenths of an inch, and much of that was microscopic. Researchers found 1,500 and 1.7 million of these particles per square mile. • Virtually every piece of plastic that was ever made still exists in some shape or form (with the exception of the small amount that has been incinerated). • Plastic chemicals can be absorbed by the body—93 percent of Americans age six or older test positive for BPA (a plastic chemical). • Some of these compounds found in plastic have been found to alter hormones or have other potential human health effects. Is it possible to go plastic-free? Listen to the Green Divas feature interview with Beth Terry, author of Plastic-Free: How I Kicked the Plastic Habit and How You Can, Too. • Choose to reuse when it comes to shopping bags and bottled water. Cloth bags and metal or glass reusable bottles are available locally at great prices. • Refuse single-serving packaging, excess packaging, straws and other “disposable” plastics. Carry reusable utensils in your purse, backpack or car to use at bbq’s, potlucks or take-out restaurants. • Reduce everyday plastics such as sandwich bags and juice cartons by replacing them with a reusable lunch bag/box that includes a thermos. • Bring your to-go mug with you to the coffee shop, smoothie shop or restaurants that let you use them, which is a great way to reduce lids, plastic cups and/or plastic-lined cups. • Go digital! No need for plastic cds, dvds and jewel cases when you can buy your music and videos online. • Seek out alternatives to the plastic items that you rely on. • Recycle. If you must use plastic, try to choose #1 (PETE) or #2 (HDPE), which are the most commonly recycled plastics. Avoid plastic bags and polystyrene foam as both typically have very low recycling rates. • Volunteer at a beach cleanup. Surfrider Foundation Chapters often hold cleanups monthly or more frequently. • Support plastic bag bans, polystyrene foam bans and bottle recycling bills. • Spread the word. Talk to your family and friends about why it is important to reduce plastic in our lives and the nasty impacts of plastic pollution. Lynn Hasselberger is The Green Divas Managing Editor and Associate Producer of the GD Radio Show. She lives in Chicagoland with her son, husband and two cats. She loves sunrises, running, yoga, chocolate, and NYR, and has a voracious appetite for comedy. In her spare time, she blogs at myEARTH360.com and LynnHasselberger.com. A treehugger and social media addict, you’ll most likely find Lynn on twitter (@LynnHasselbrgr & @myEARTH360) and facebook. She hopes to make the world a better place, have more fun, re-develop her math skills and overcome her fear of public speaking. Hi! Thanks for publishing my piece. I see you got it from EcoWatch. Can you attribute it a bit more clearly by saying it was written by me instead of just showing my name? And the link should go back to the original piece on Green Divas (or at least have a link within the content). Done & done. We actually got the article from Waking Times. I also included your author bio at the bottom of the article. Thanks so much for the excellent piece!